I was working on this recipe to serve to my daughter as she starts to eat more and more finger foods. This is a variation of my basic pancakes. I love pancakes because they are easy to make, store well, and are very easy for her to eat. The downside? They aren’t very nutritionally dense. But wait! 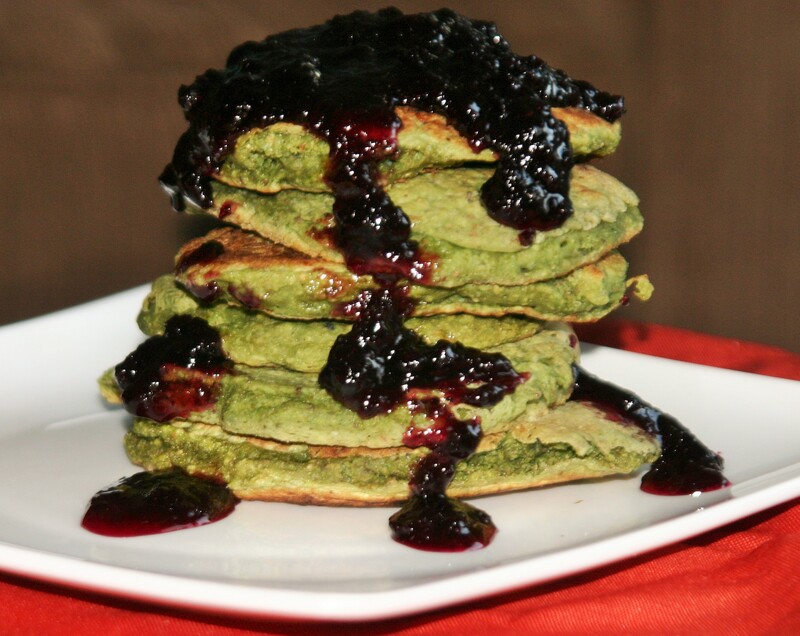 These green pancakes do a great job of bringing some nutrients, and they taste delicious. I ate most of them, but I did share a few bites with Wolfie. They are green from the spinach, but if you start the trend on Halloween (or before they know what pancakes look like) no one will question you. I topped mine with homemade blueberry jam. I promise these are good enough to eat as a snack even without a topping. 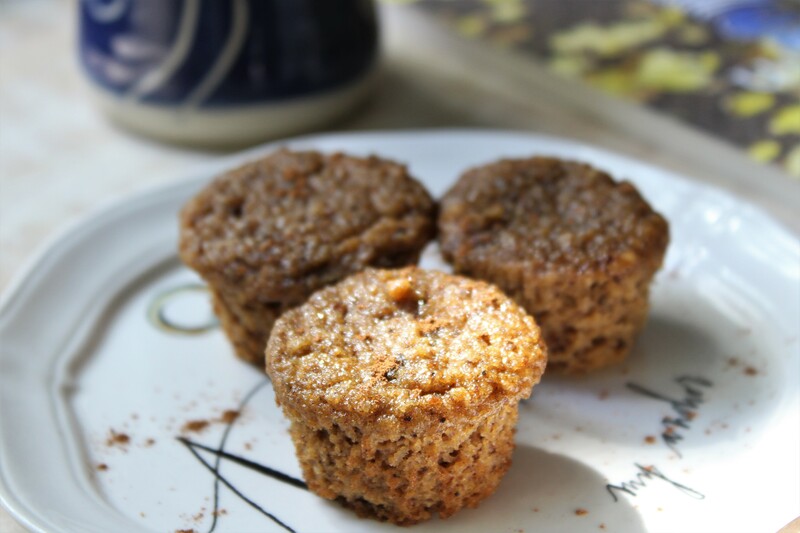 The fruit gives them sweetness and the almond extract a flavor reminiscent of cake. Coconut oil (or whatever you like) for cooking. Mash the banana into a large bowl. Add the flours, salt, baking powder, and baking soda stirring the dry ingredients together briefly by tossing them together without touching the mashed banana. Blend together the lemon juice, milk, peaches, spinach, and chia seeds until smooth. (I used my magic bullet, but a blender or food processor would work). Pour the blended mixture into the dry mixture and stir just until everything is incorporated. Heat a skillet over medium heat, melt in a little coconut oil, and pour the batter into the hot pan leaving enough room between pancakes to flip them. When the are starting to look dry around the edges and bubbles are popping and not refilling, about 2 minutes, flip them over. Cook on the second side for about a minute until golden brown. Serve with toppings of choice, or none at all!